PML is one of those companies that has become a favorite of everyone here at the garage. We have two of their transmission pans and for the Impala Project, I felt something they made had to be put on this car too. 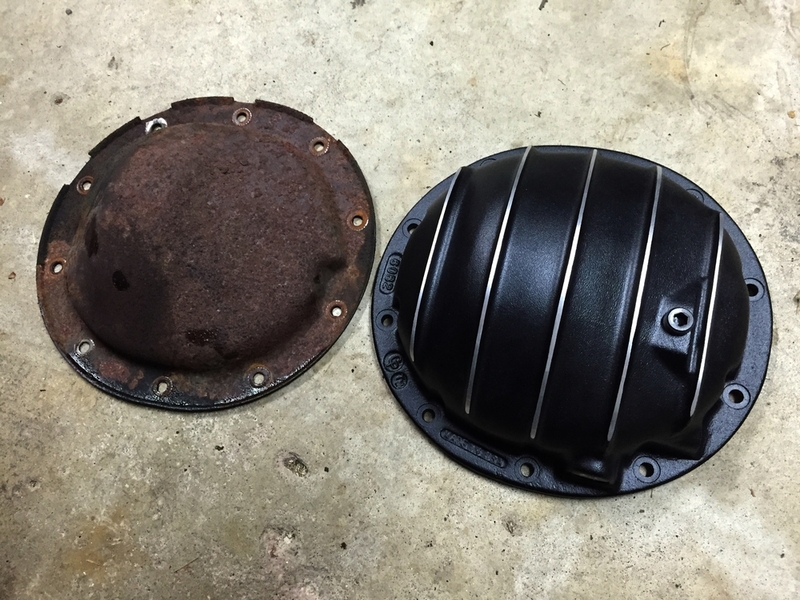 PML offers a wide variety of rear differential covers that can be outfitted to a number of vehicles. They offer different finishes, sizes and colors; all in their cast materials that are made right here in the USA. For this story, I decided to do a complete video, showcasing the removal of the stock cover and then installation of the new PML unit. Our Impala is fitted from the factory with the GM 10 Bolt rear differential. They offer this cover in 3 different finishes and the claim is it will hold roughly an extra half quart of fluid. The advantage of this is better cooling due to extra fluid. PML also sends a magnetic drain plug that looks identical to an engine oil pan plug; this way you can empty and refill your differential with ease. When you order one of these, you have to specify which bolts your vehicle has. PML says GM utilized four different bolt types over the years. The bolts that you get with this kit are also longer, to accommodate the larger flange size. Everything I have to say about this cover is in the video below, but overall these are such nice pieces. The quality is top notch and the fit, finish and functionality on these can't be beat. We will keep going to PML for all of our cover needs here at Hoagies Garage. I used the AC Delco Limited Slip Differential Additive and a FelPro Gasket. Links to purchase from Amazon are below. They had the best prices at the time, even compared to local places. The Hotchkis Sway Bar on our Impala was not an issue with clearance on the PML Cover. Sometimes bigger sway bars or panhard bars can get in the way, but not this time.